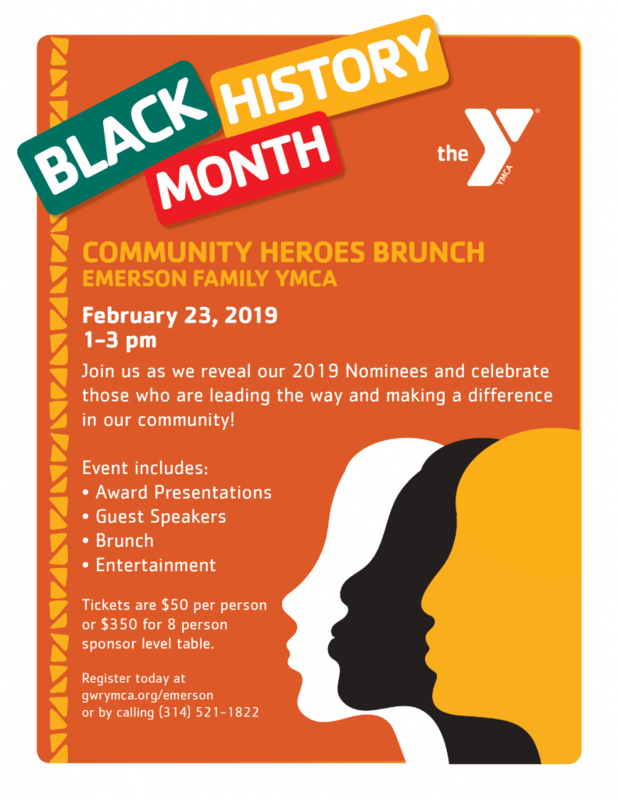 Emerson Family YMCA will reveal their 2019 Nominees and celebrate those who are leading the way and making a difference in our community at their Community Heroes Brunch on Saturday, February 23, 1-3pm. Includes brunch and entertainment. Tickets $50 per person or $350 for 8 person sponsor level table. REGISTER ONLINE or call 314-521-1822.